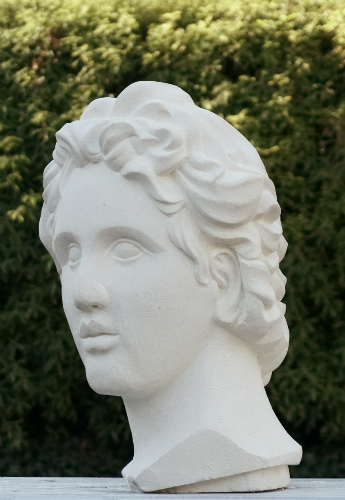 Stone carving is an enjoyable and relaxing way to create a piece of sculpture art. Begin by creating a simple stone sculpture and advance to being able to produce your own original piece such as a garden sculpture. learn and explore, then create with passion. 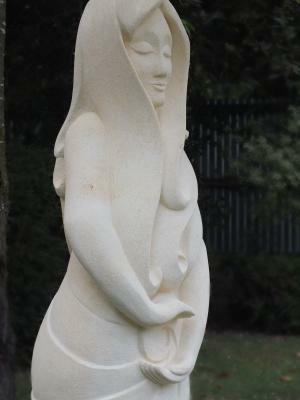 With my years of experience in stone carving I am looking forward to sharing what I know with you so that you can also enjoy the fun of creating in limestone and other natural materials. This site will be where I will share information about the how, where, and why of creating with this medium. How to get started, how to carve stone, where to work, where to purchase tools and why it is so satisfying to sculpt. Many of the students I have worked with have gifted their creations for birthdays and other celebrations and enjoyed the response from the person who received it. Imagine the pleasure of your family and friends if you present them with your original natural stone sculpture!!! Carved in Mt Somers Stone. Please view this latest commissioned bust of Alexandra The Great. 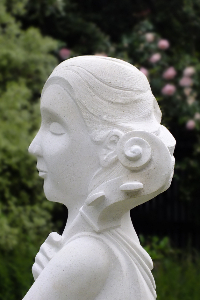 View this latest sculpture of a lady with cello. It was designed and created for a musical garden event through the Christchurch Symphony Orchestra. View a new selection of gallery's. From the sculptures created by the adult students who attended Papanui High School night classes. To the tutors gallery and the garden sculptures gallery. Learn the basic sculpting techniques in the beginners carving class and then create your own stylized works in the advanced class. Download easy step by step sculpture lessons. As you do more of the lessons you will gradually advance to more challenging sculptures. Find out about all of the tools you will need for sculpting stone, from the type of bench to use to the different varieties of files needed. Book a carving workshop for school holiday programs, festivals, events and adult's groups. 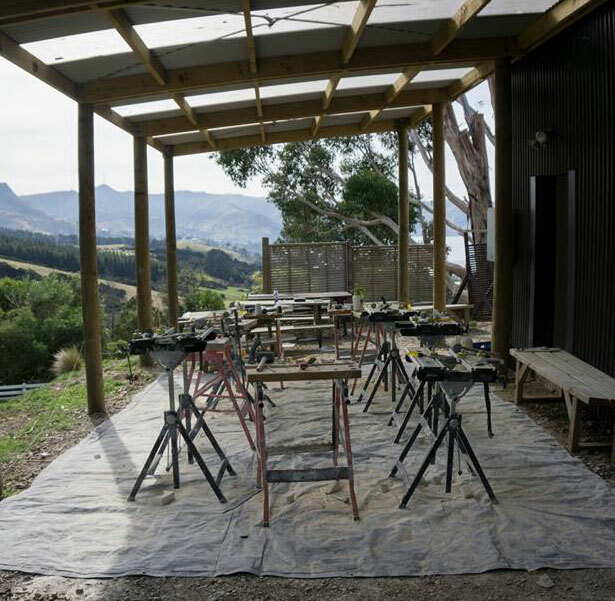 You will have access to the online lessons, The carving gallery, information about sculpting supplies, work benches, working environment and for Christchurch (NZ) residents: workshops for children and adults and night classes at Papanui High School. Stone carving is able to be enjoyed by everyone. So go ahead, learn how to create something simple or extend yourself to produce something as detailed as a great garden sculpture. 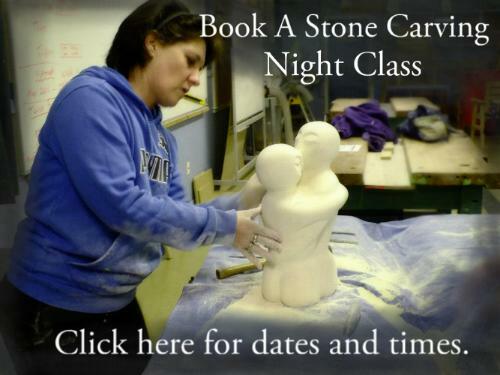 If you are interested in booking a carving workshop, enrolling in a night class or you need some additional information about stone sculpture. You can contact me either by phone or email below, or pass on a message via Facebook above. Email: To protect from spam, please fill in all fields below. One the best projects of 2011 was working with the children at Harewood School to create this awesome stone sculpture.